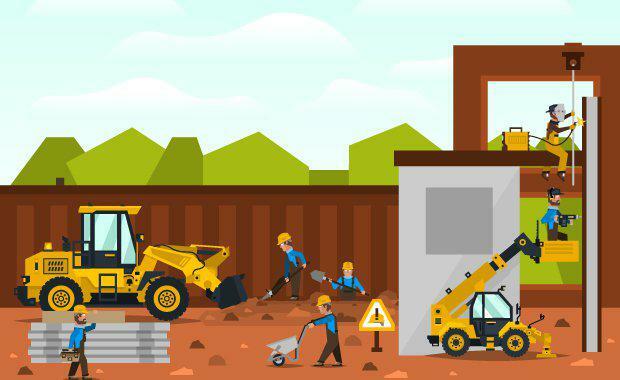 After a three-year decline in activity, Australia’s construction output will rise by a significant 7.1 per cent this year, as non-mining infrastructure and commercial building work boost the industry. The latest Australian Industry Group-Australian Constructors Association Construction Outlook survey revealed the total value of major project work is forecast to lift 7.1 per cent in 2017-18, followed by a further jump of 6.8 per cent in 2018-19. AI Group recorded the current prices at 2.1 per cent, and pinpointed the key driver of growth activity to be non-mining infrastructure work, public sector spending on transport infrastructure projects and higher levels of private sector investment in commercial building. [Related reading: Engineering Work Continues to Buoy Australia’s Construction Sector] AI Group chief executive Innes Willox said the Australian Construction Outlook survey, which was based on responses of 100 companies employing almost 60,000 people, suggested the worst of the decline in mining-related Australian construction is now behind us along with its negative impact on broader industry conditions. “Rising momentum in new road and rail projects, together with telecommunications infrastructure including the NBN, will also see strong growth in the value of engineering construction, which is expected to rise by 8.0 per cent in 2017-18 and a further 10.6 per cent in 2018-19 after shrinking by 6.5 per cent in 2016-17,” he said. “This is very positive for the construction industry businesses, their employees and contractors and the mining, manufacturing and service businesses active in construction supply chains. “Governments and training providers should be taking notice of the emerging skill shortages in the construction sector and be quick to respond with changes to relevant training and immigration categories," Willox said. Conditions also remain strong for multi-level apartments in 2017-18, as Australian construction companies continue to work through a solid backlog of work. But this is seen as the peak year in the current cycle, with activity set to turn down sharply in 2018-19. In other survey findings, commercial Australian construction is forecast to pick up with the survey pointing to a strong pipeline of work over the next two years, recovering from a broadly stable 2016-17 to increase by 1.8 per cent in 2017-18 and a further 9.4 per cent in 2018-19. [Related reading: What Will the Construction Downturn Actually Look Like? ]Businesses reported in the survey worsening labour shortages, with 63.6 per cent of respondents reporting either "major" or "moderate" difficulty in recruiting skilled labour in the six months to September 2017, up from 39.2 per cent in the previous six months. Labour costs remain a source of pressure for the Australian construction outlook of infrastructure and building projects, with growth in labour cost, pressures are expected to be exerted in 2018 as major projects ramp up and contractors increasingly compete for the same pool skilled labour. The sourcing of building materials was of greater concern for the industry in the six months to September 2017, with 45.5 per cent of respondents citing ‘major’ or ‘moderate’ difficulty, up from 21.7 per cent six months earlier. "NSW and Victoria are powering ahead with much needed construction to support metropolitan and regional infrastructure needs,” Australian Constructors Association executive director Lindsay Le Compte said. “The larger infrastructure projects will also support additional construction and commercial development along project corridors and provide essential support to the wider construction sector," Le Compte said.